Yesterday I posted a recipe for Melado, so today I want to share with you a delicious recipe that uses this syrup. Yuca or cassava balls are a traditional Colombian recipe that you can eat as a side dish or appetizer with your favorite sauce, including Melado, as in this recipe. They are sweet and absolutely fantastic and your kids will love them too! 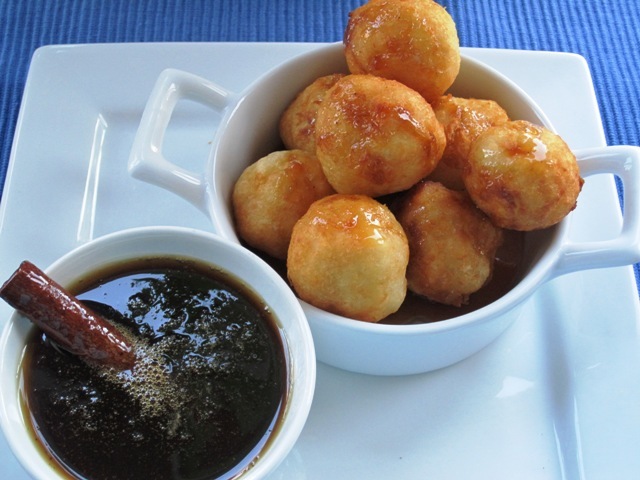 This Bolitas de Yuca con Melado recipe is more proof of just how versatile yuca is and how many ways Colombians have found to enjoy it in their cuisine. Enjoy! 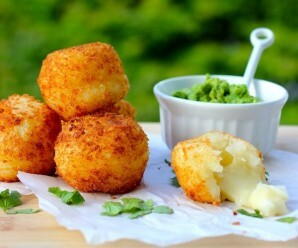 Form small balls with the mashed yuca using your hands and place on a plate. Fill a large skillet with oil, deep enough to cover the entire ball and heat over medium-high heat. Carefully add the yuca balls to the oil and fry them for about 4 to 5 minutes or until golden on all sides, turning over once about halfway through. Remove from the oil and transfer to a plate lined with paper towels to absorb the oil. Place on a serving plate and pour the melado over the yuca balls. YUM! those look soooo perfect to dig into!!! oh I want one of these with my cup of tea please! 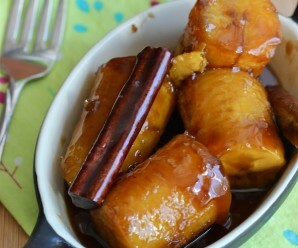 These are scrumptious and sound so good with your special Melado syrup! Yuca is my favorite root vegetable! yummy. Thats sounds great Erica..I love yuca..So this will dfntly win my vote. 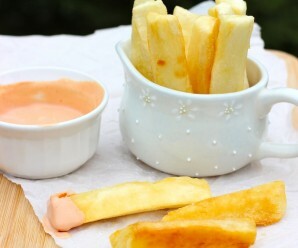 I love yuca, and this is the first time I’ve heard of this way of eating it… I’ll try it! When I saw them I thought they were loukoumades, kind of doughnut balls we make and serve them with honey. Never heard of Yuca before. Must be great. These balls look absolutely yummy, and like they would get me in serious trouble. They also look like they have the consistency of doughnuts, which might send me over the edge =) but what a way to go! I often see Yuca in the vegetable market but I have yet to purchase any. I will definitely pick some up in the upcoming days to try this recipe. Those look delicous, Erica! Don’t think I’ve ever had yuca; what does it taste like? MMMMMMMM,…these balls look apart & so appetizing!! I don’t think I’ve ever had cassava or yucca as a dessert and I know I’ve never these delicious looking bolas and melado. Very interesting. Erica….last weekend you made a potato salad for a party we both went to. Is the recipe on this site? If was fabulous. These look tasty too! Nancy- Nancy, I did not post the recipe yet! I LOVE yucca but would definitely not have thought to put it in a dessert. You learn something new every day! These look really good, especially with the melado. 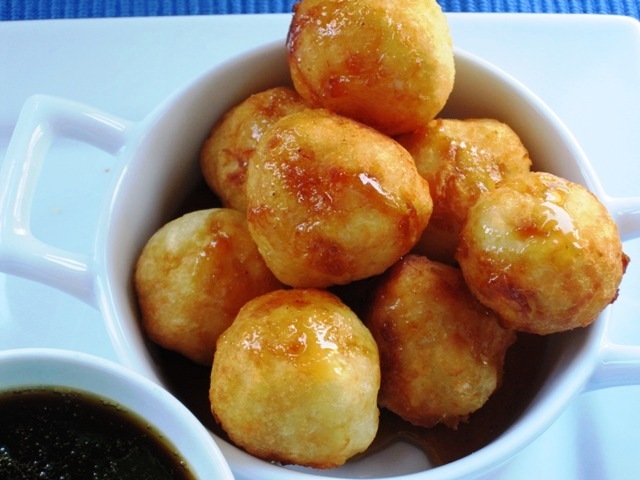 Mmmm….I love fried cassava balls. Really miss them. I can’t find cassava here….how disappointing! I love the starchiness and versatility of yuca. 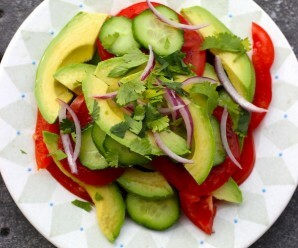 This looks like a GREAT appetizer! This sounds interesting. Hope I can find the stuff to make it. My daughter is getting married and we are doing an international bridal shower. She and her fiance are both planning to be foreign missionaries. She spent time in Columbia so this sounds like a must do. Thanks!